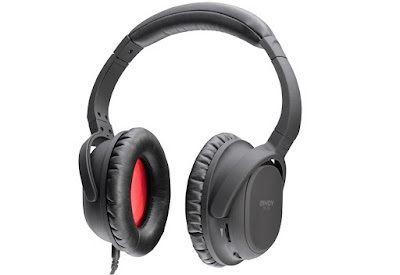 Noise-cancelling headphones - decent one, that is - usually occupy an area in the pricing spectrum which would make the average consumer wince. 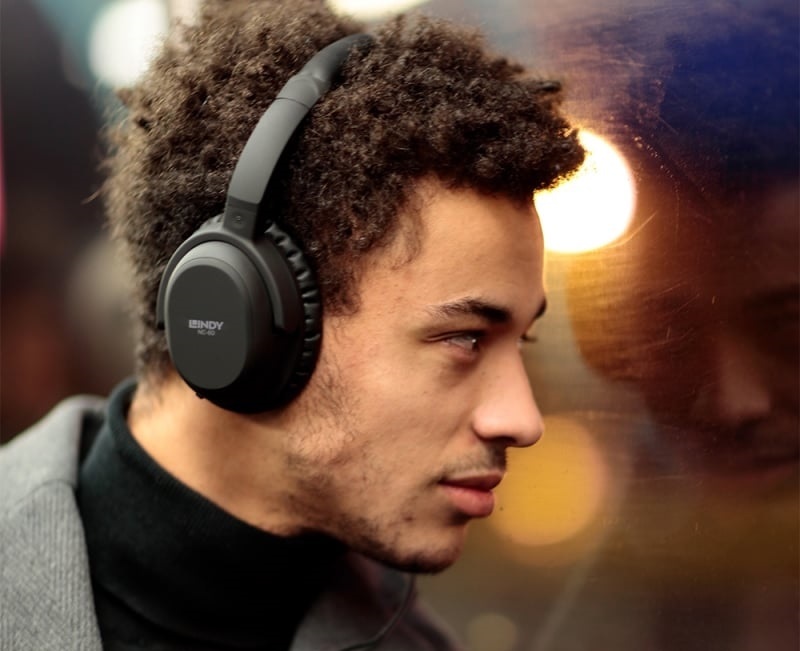 Combining good sound quality with the technology to actively block the ambient sound tend tends not to come cheap, but it seems like Lindy are having a crack at it. We check out the Lindy NC-60 Noise-cancelling Headphones. First up, these are not Bluetooth headphones. We need to rip that plaster straight off as the headphones we typically review from Lindy tend to be. 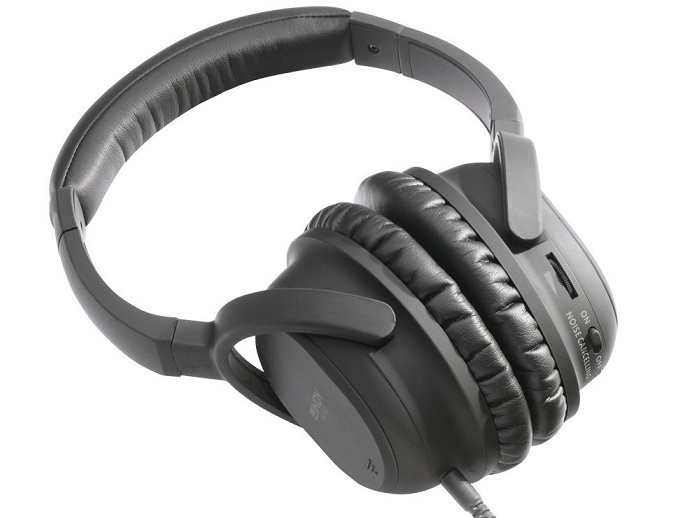 The NC-60 Noise-cancelling Headphones use a standard 3.5mm audio wire to connect to your music devices, while also employing, uniquely, two AAA batteries to power the noise-cancelling feature. Yep, you don't charge these via micro USB as you might expect - there is an actual battery compartment in one of the cans, instead. Still, those batteries are included (score! ), as is a very nice hard carry case (double score!). 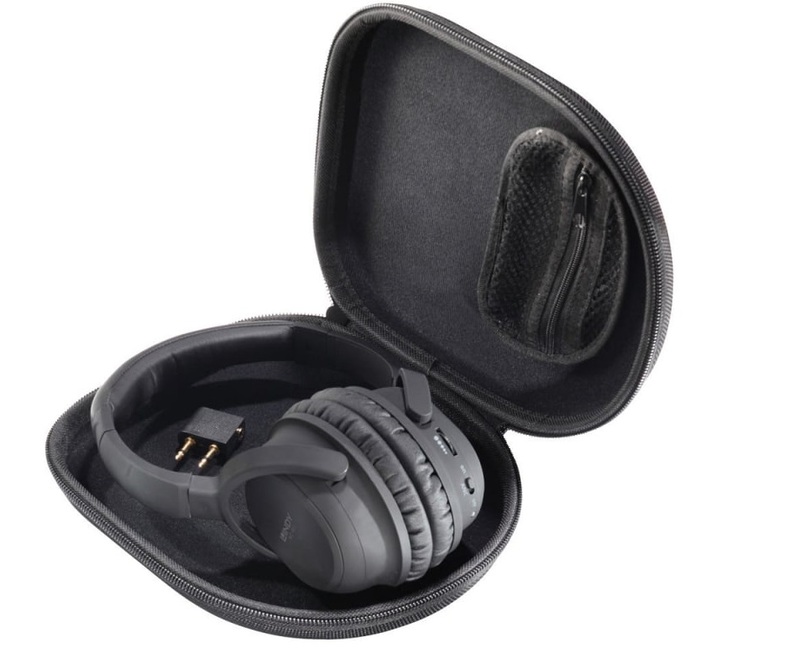 Also, as the Lindy NC-60 Noise-cancelling Headphones folds down pretty flat, the case is slimmer than you might expect, making it great for carrying in your commuter or carry-on bag. Inside the case is a little Velco-attached pocket, designed for your cable, spare batteries, and the included aeroplane and amp adaptors. Bases covered. Right, plugged in and switched on, the Lindy NC-60 Noise-cancelling Headphones perform incredibly well - far better than the price suggests they should. The noise-cancelling feature isn't the strongest or most effective we've ever experienced, but it still works to reduce the ambient background hustle and bustle. They won't block sounds that are right next to you, like chatter from people near you on a train, but the do do an excellent job of cutting the train hiss. We imagine they'd be great aeroplane 'phones. With the noise-cancelling either on or off, the Lindy NC-60 reproduce a great quality of sound. All genres sounded very good on them, although we did think they lacked oomph in the bass department. However, thanks to the cancelling of background noise, we never felt a need to up the volume too much, meaning there was never any distortion. This made for a crisp and clean soundscape that was, although not mind-blowing, certainly immersive and good enough for casual listening. We like the look, feel, quality and - most importantly - the price. Clearly by dumping the Bluetooth connectivity, and by using replaceable AAA batteries, Lindy have managed to cut the cost of the NC-60 by quite a lot, while still managing to keep the sound decent. We like.